We are honored that you have visited Wood Street online. We trust that it will be a very helpful and educational tool. 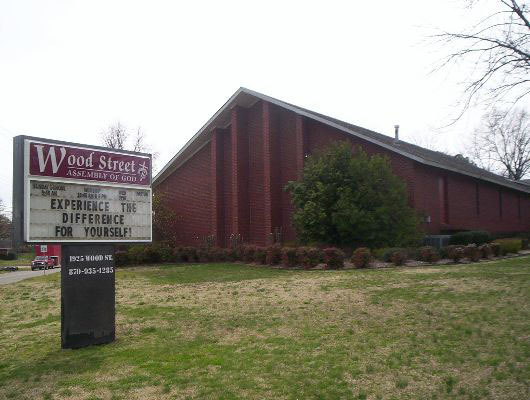 Wood Street is a church that not only believes in ministering to the whole family, but also puts it into practice. We have a great staff and leadership team who minister to every age of the family from the nursery to senior adults. It is our hope and prayer to be able to help you in any way possible. Here we believe the power of God is able to do abundantly above all that we can ask or think. If you are ever in Jonesboro, Arkansas, please stop by and visit in person and experience the difference for yourself.